Passengers sustain severe injuries every single day on New York’s streets, freeways, and boulevards. Some of those injuries are catastrophic and permanently disabling. Some are fatal. If you are injured as a passenger in any vehicle that’s in a traffic collision in or near New York City, you have specific legal rights as a passenger and a car accident lawyer can help. 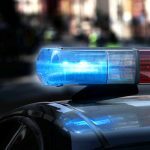 Almost everyone is a passenger sometimes, so keep reading to learn more, because if you are injured by a negligent driver in New York, it helps a great deal to know your rights. HOW MANY NON-DRIVERS ARE INJURED IN TRAFFIC CRASHES? More than two million passengers, pedestrians, and bicyclists – that is, non-drivers – are traffic accident victims each year in this country. It’s a disturbing statistic. If you’ve been injured as a passenger in New York because of a driver’s negligence, you are entitled by law to complete compensation for all of your medical expenses, lost wages, pain, suffering, and related damages. Don’t try to collect that compensation by yourself. 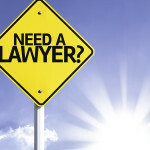 Get a lawyer’s help. To obtain the compensation that you are entitled to and to ensure that your rights are protected in the process, contact an experienced Bronx personal injury attorney immediately after you’ve been injured and after you’ve been examined by a healthcare professional. 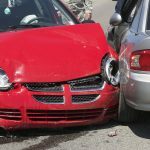 HOW DOES NO-FAULT AUTO INSURANCE WORK IN NEW YORK? Under New York’s no-fault auto insurance system, in most cases, the insurance company that covers a particular vehicle pays for the medical bills and lost wages of an injured driver or passengers in that vehicle – without regard to which driver was at fault in the accident. In other words, in the state of New York, the no-fault coverage that applies if you are injured is based on the policy that insures the vehicle you drove, rode in as a passenger, or were hit by as a pedestrian or as a bicyclist. You must act swiftly, however. No-fault claims must be filed within thirty days of an accident, and you’ll need to consult a personal injury lawyer well in advance of that thirty-day deadline. Here is where the law can get confusing for traffic accident victims. In New York, a no-fault claim is separate and distinct from a bodily injury claim. 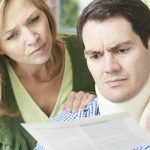 WHAT IF YOU NEED ADDITIONAL COMPENSATION FOR A SERIOUS INJURY? Injured passengers in this state who file a no-fault claim also in many cases have the right to file a bodily injury or “BI” claim. These are completely separate claims – even though the claims are against the same insurance company – with completely separate procedures, rules, and standards of proof. The no-fault insurance system in New York was adopted to ensure that injured passengers, drivers, bicyclists, and pedestrians are covered for up to $50,000 for their medical bills and lost wages – but not for their pain and suffering. Additional damages, however, may be pursued in New York through a bodily injury lawsuit. If you have sustained any catastrophic, disabling, or permanent injury as a passenger in a traffic collision in this state, $50,000 will not go far. You will require more compensation for that kind of an injury. A lot more. You will need to file a lawsuit, and you’ll need to be represented by an aggressive, experienced Bronx personal injury attorney who will fight on your behalf for every dollar of compensation that is available. Without sound legal guidance, passengers who become accident victims might settle an injury claim for a much lower amount than the injury claim is genuinely worth. A victim who accepts a quick settlement may also be waiving his or her right to additional legal action or additional compensation. If you’ve been injured as a passenger, do not sign anything, don’t admit to anything, and don’t agree to anything. 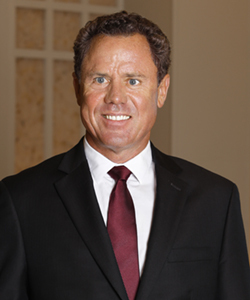 Refer an insurance company – or anyone else with questions – to your personal injury lawyer. WHEN AN ACCIDENT HAPPENS, WHAT SHOULD YOU DO? Since passengers who are injured by negligence may receive compensation through either a no-fault claim or through an injury lawsuit, if you are injured as a passenger, you must protect your rights from the moment an accident happens – and no attorney will be there to guide you. At the scene of an accident, if you can, take notes and take photos. Just like a driver in an accident, you should try to obtain the names, contact details, and insurance information of anyone involved in the accident, and the names and contact details of any witnesses. It is also imperative to receive medical attention at the scene of the accident or immediately afterward – even if you’re feeling great. WHY IS A MEDICAL EXAM SO IMPORTANT AFTER AN ACCIDENT? If you sustained a latent or hard-to-detect injury that emerges later as a serious medical situation, and you were not examined immediately by a healthcare professional, it may be hard to prove how you were injured – and impossible to collect compensation when you need it. You should also keep and make several copies of the police accident report, your medical test results and medical bills, and any other documents related to the accident and your personal injury or injuries. CAN PASSENGERS DO ANYTHING ABOUT THEIR SAFETY? 1. Buckle up – every time. 2. Never climb into a vehicle with a drunk or impaired driver. 3. Offer your help with the heat and air, the GPS, and the audio system. 4. Don’t distract the driver. 5. If you spot a hazard but the driver does not, say something. The use of seat belts – and booster seats for small children – is required by law in this state. Do not even think about riding anywhere without buckling up. Nationally, seat belts save almost 15,000 lives a year, according to the Insurance Information Institute. And the National Highway Traffic Safety Administration tells us that safety belts reduce front-seat passenger fatalities by forty-five percent. HOW CAN YOU LEARN MORE ABOUT YOUR RIGHTS – AT NO COST? If you are injured in a traffic crash in New York because you were a passenger in one of the vehicles, you should know that most personal injury attorneys will review your case and provide a first legal consultation – for no cost and with no obligation. It won’t cost you a thing to learn more about your rights. If you’ve been injured by negligence in New York, exercise those rights, and get the help you need – immediately.